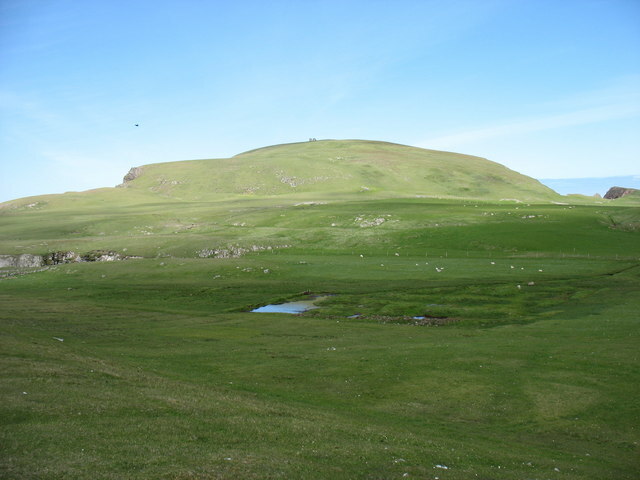 At 107m, Malcolm's Head is the fifth highest hill on Fair Isle, after Ward Hill (217m), Burrashield Hill (150m), Sheep Rock (132m) and Vaasetter Hill (110m). Although one can argue about "What is a hill? ", I do not think any other spot would really qualify, although there are many sea stacks.